The health of water is tied to the health of people. No one knows that better than Laurel Firestone, founder of the Community Water Center. While a million Californians are exposed to unsafe drinking water every year in their homes, schools, churches and parks, the Community Water Center knows this is a solvable problem. 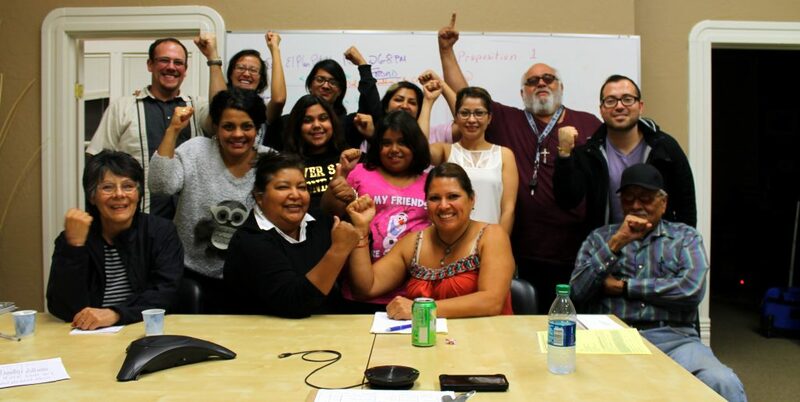 Through organizing, education, and advocacy, they’re getting after it. Firestone and her team give impacted communities a voice in the water decisions affecting them. 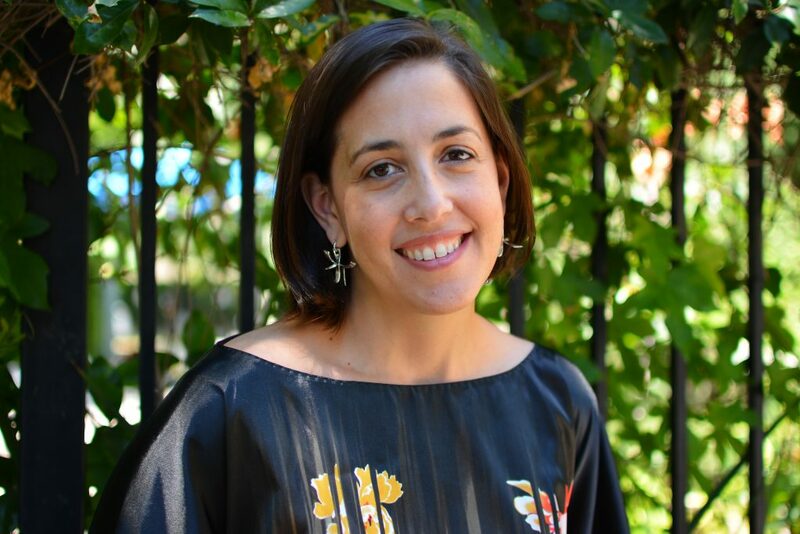 Last year she was named one of the most influential people in California water policy, and she serves on state advisory committees and partners with universities to develop research and clinical programs that ensure the human right to water. 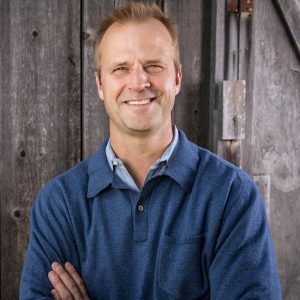 Q: Jumping right into your tag line, “clean water is a human right, not a privilege.” Tell me a little bit about that. A: I grew up in Los Angeles and always took for granted that you would have safe water from your tap. After law school I moved to the San Joaquin Valley and started working with communities whose water was coming out brown, smelling like sewage, and they were getting notices saying that it wasn’t safe to drink. When they went to talk to their local officials, they said that’s just the way it is here, it’s fine to make coffee with and stop complaining, basically. One of the things that we first started doing was talking to people — especially mothers who felt like they needed to be able to affirm that it’s not okay to have brown water coming out of your tap and toxic water coming into your children’s school. This is a basic human right and something that it’s not okay to say it’s just the way it is around here. In 2012, we actually passed the Human Right to Water Act in California, which is the first of its kind in the country. We’ve been using that to help drive a number of policies. 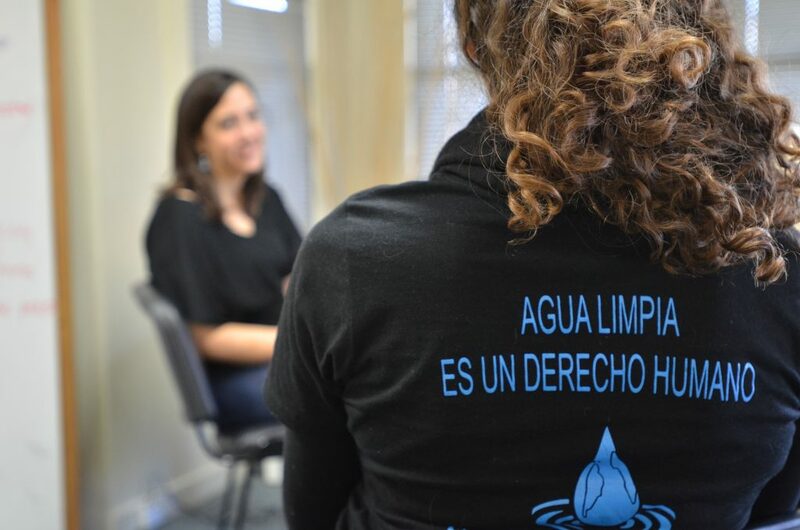 Translated to: Clean water is a human right. Q: Having that happen in 2017 in the United States is a little shocking. You did a pretty big report on this last year. What are some pieces that came out of that research that were surprising to you and actionable by all of us? A: I think the publicity around Flint really helped spread the idea that these are real issues throughout the country. One of the things that we learned — we looked at this in terms of schools — is that there’s very little data around things like lead in schools, because most schools haven’t been tested for lead at the tap. The way that the regulations are is they test for lead at certain points in private homes within a public water system, but they really haven’t tested for it at schools unless there’s been some sort of special investigation. So by and large we are really missing information about what the water quality is at schools at least in terms of lead and some other distribution contaminates. Q: What are some of the campaigns you’re working on now to shed light on things and hopefully move it to a better place? A: First is really around source protection. Making sure that we’re protecting our drinking water sources in California and especially in a lot of rural areas around the country where people rely on groundwater. That’s really out of sight out of mind. We have been really involved in both trying to protect water quality from pollution as well as overpumping. We have this push to develop sustainable groundwater management plans that are supposed to be regionally, collaboratively developed. It’s often communities that are left out, especially low income and rural communities, they are left out of those plans and power structures regionally and locally. So we’ve been doing a lot to just make sure that communities are involved in those and help make sure their issues will be addressed. But we had thousands of families lose their water supply entirely, whole communities going years without running water in their house. 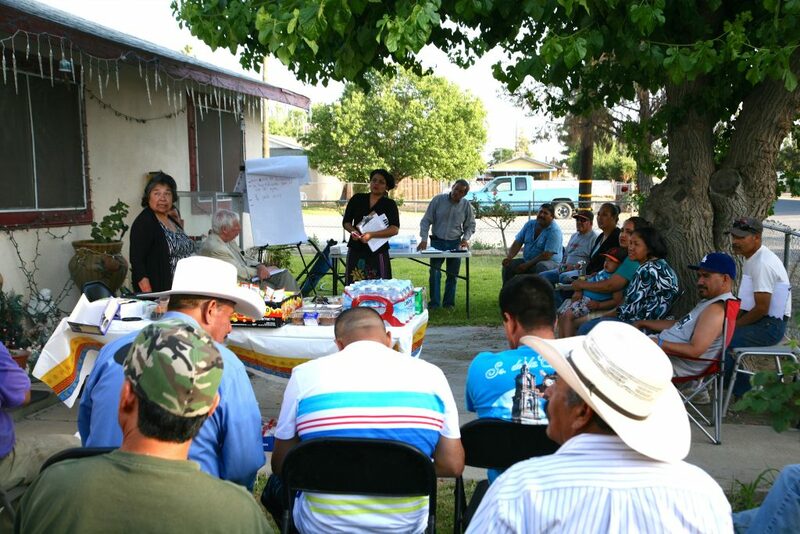 The Community Water Center holds community “platicas” (meetings) to share information with San Joaquin Valley residents about opportunities to improve the quality of their drinking water and advocate for water justice. Q: In Porterville you helped get almost 700 homes on track to receive safe, reliable water after 3 years without it. It’s so obviously not how it should be working in the United States. How aware are people either becoming or getting to in terms of water justice issues? A: I’m always surprised how little people have heard about it. I think east Porterville got a lot of press last year, but we have a long way to go to raising awareness on this. But that’s the only way these things change is if the people impacted are speaking out and making these issues visible. The other thing is these challenges don’t get solved overnight, and they didn’t start overnight. We have, for hundreds of years, never managed our groundwater well. We’ve allowed many, many decades of really intensive agriculture with no regulations in place to protect groundwater. So some of these things are changing, but one of the things we try and balance is how to address the immediate needs and get some immediate wins and see change, but also be able to stay in this for the long haul and see those long-term solutions that need to be there. Q: How do we properly bring in the community concerns in a way that doesn’t devolve into sort of a power struggle so much as looking at how we can all find a solution that works for everyone in the long-term? How does that happen in your mind’s eye? A: I think it’s a big challenge. Trying to transform a system that hasn’t been sustainably managed to become sustainably managed and creating a whole new local, collaborative structure — to do that is a real challenge. We’re talking pretty severe overdraft that we will need to figure out how to correct. So this is not easy. One of the things we’ve been doing is working with the small community water systems throughout the area to try and help them navigate these different processes and figure out what kind of agreements and information they need to have, ensure they’re a part of these planning processes by being a part of the decision-making bodies and advisory boards. But, I’m a big believer in transparency and data. If we can all develop a common understanding of what the problem is, what the situation is that we are in, and what we need to address locally. I think that people want to figure out how to do that. I don’t think anybody wants there to be communities that continue to go dry. But, when we have no data and no representation within plans and these bodies that are doing the groundwater management and planning, then we can’t stop that. So one of the things we try to do is help create that data and common knowledge and visibility and integrate them into the planning process. One of the things we work on is trying to look at how we can scale up and create shared solutions and shared representation where communities can have a little bit more economy of scale and maybe even interconnect or look at shared management structures where they can have more resources to be adequately represented and have full-time staff. Community members celebrate the passage of the Proposition One Water Bond, which for the first time allocated over half a billion dollars of funding for small, low-income community water needs after sustained advocacy.